InterNations Québec City Official Event - Latino Night! InterNations Quebec is proud to announce the 1st Latino Night! We will bring you to the best Peruvian place in Quebec and you would have the opportunity to try traditional food and drinks from this part of the world in a great atmosphere. 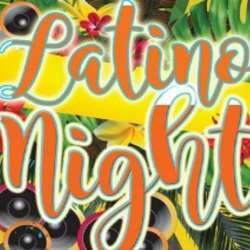 Then stay and dance on the most famous and furious songs of the international Latin-pop repertoire! Accompanied by Latino musicians and singers. It’s gonna be a great evening party, so come and join us. Please, sign up for this event as the places are limited. Micko, the owner of the restaurant, will make us various typical Peruvian dishes including its famous ceviche; and we will have a choice of typical local Peruvian drinks such as the pisco sour, sangria chichi morada and Chilcano de pisco for 20$/person. Then if you want more, it’s up to you!